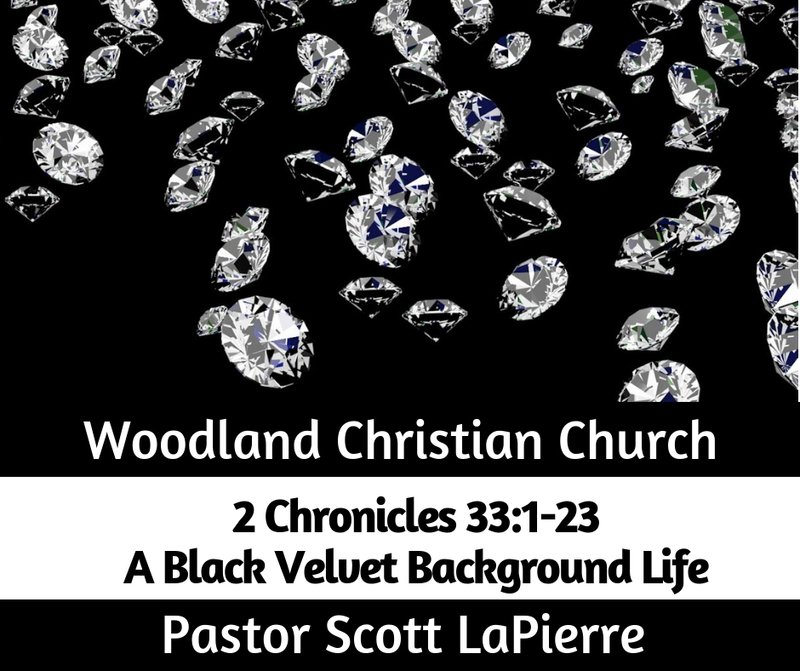 Go to "A Black Velvet Background Life"
Lesson 1: In affliction you can ____________ or ____________ yourself (2 Chr 16:7-12 cf. 2 Chr 33:12). Lesson 2: Genuine repentance __________ __________ (Matt 3:8; Luke 3:8; Eph 4:25-32; 2 Chr 33:14-16). (Part I) We __________ ______ be able to undo what we did (2 Chr 33:17). (Part II) ______ ________ have consequences for others (2 Kin 24:3; Jer 15:4). (Part III) ______ ________ might carry on our sins (2 Chr 33:21-23). Lesson 4: Manasseh shows __________ __________ knows no bounds. Day 1: Read 2 Chr 16:7-12 and discuss: How did Asa respond to God in the midst of his affliction? Can you discuss a time you were afflicted and you humbled yourself? What about a time you hardened yourself? What can you do to ensure you humble, versus harden, yourself when suffering? Day 2: Read Matt 3:8, Luke 3:8; Eph. 4:22-32; Col 3:8-12 and discuss: How do we know if repentance is genuine? Why do many people fail when it comes to repentance/producing lasting change? What is a temptation you struggle with? To develop victory in this area, what do you need to “put on,” or in other words, what fruit needs to be produced in its place? Day 3: Read ; 2 Chron. 33:1-21 and discuss: What is forgiveness? What does forgiveness not mean? What consequences were in Manasseh and the Jews’ lives as a result of Manasseh’s sins? Can you think of other people in Scripture who repented, were forgiven, but still suffered consequences? Despite Manasseh’s wickedness, why is the end of his life so encouraging? What does Manasseh teach us about God’s forgiveness and mercy, or another way to say it is: what do we learn about Christ’s sacrifice?